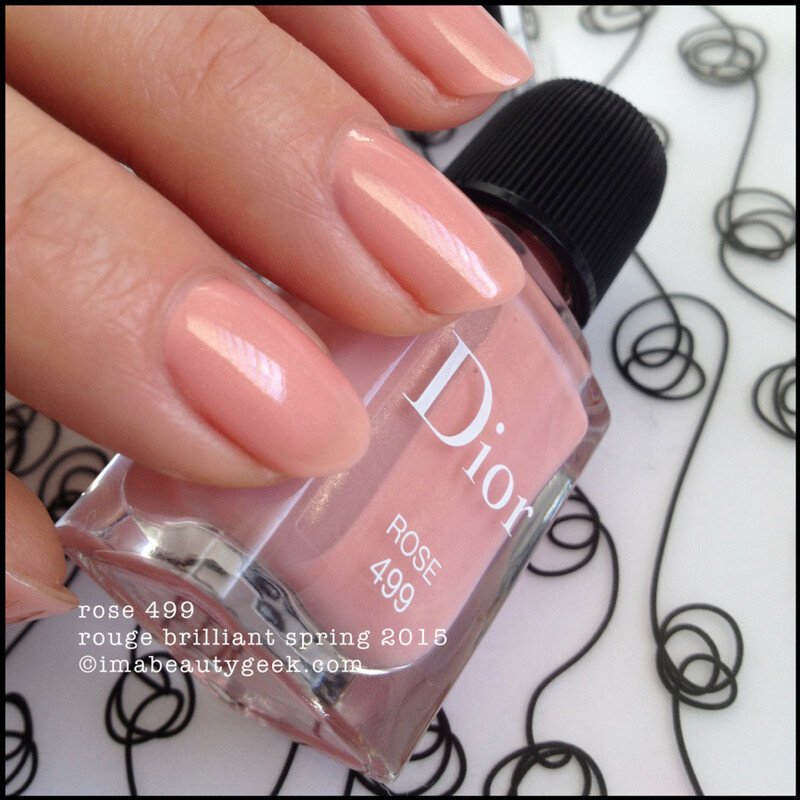 "Squealing like a little girl over Dior is perfectly okay"... D.C. 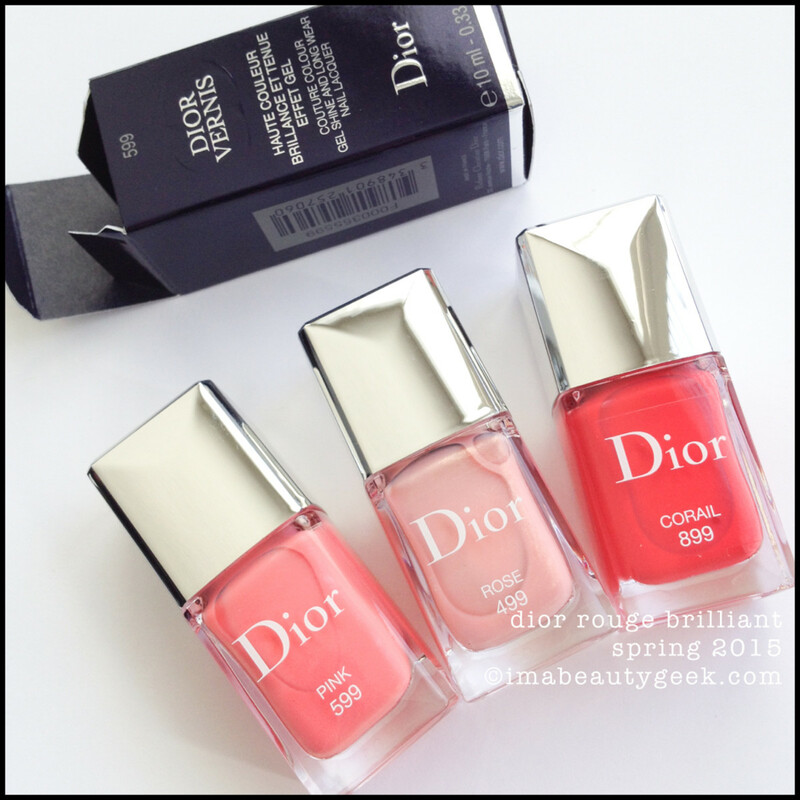 The Dior Rouge Brilliant 2015 collection is landing on-counter March 1, 2015 and while it’s a collection that celebrates the first House of Dior gloss, it also features three beautiful limited edition Dior Vernis shades to round out the collection. Wanna see? Like many people, I began my life-in-polish with inexpensive bottles of Cutex, Revlon, and Wet ‘n Wild. And they were great. I loved them all. Some were better than others, and that’s still true today. Since that time (decades ago), I’ve had opportunity to play in pretty much everything. 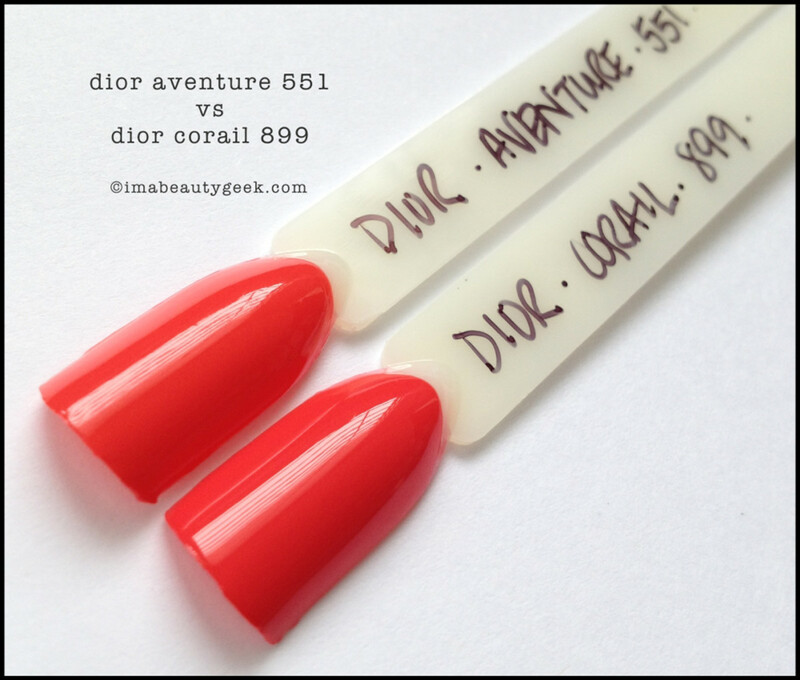 And I tell ya what, Dior Gel Shine and Long Wear Nail Lacquer is extraordinary. It’s top shelf. It’s the bee’s knees. 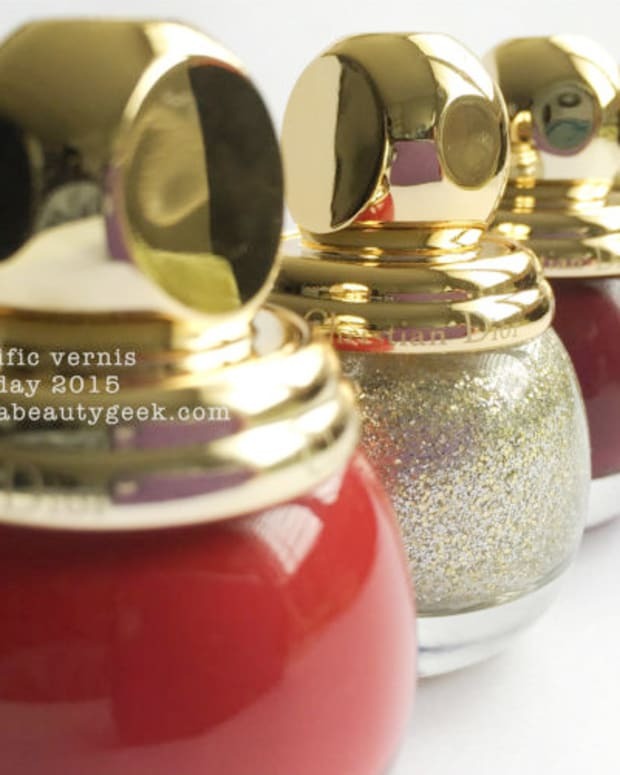 From some angles, you can really see the fine golden shimmer stuffed into Rose 499 and from others, not so much. S&apos;just one of the things that makes this shade special. 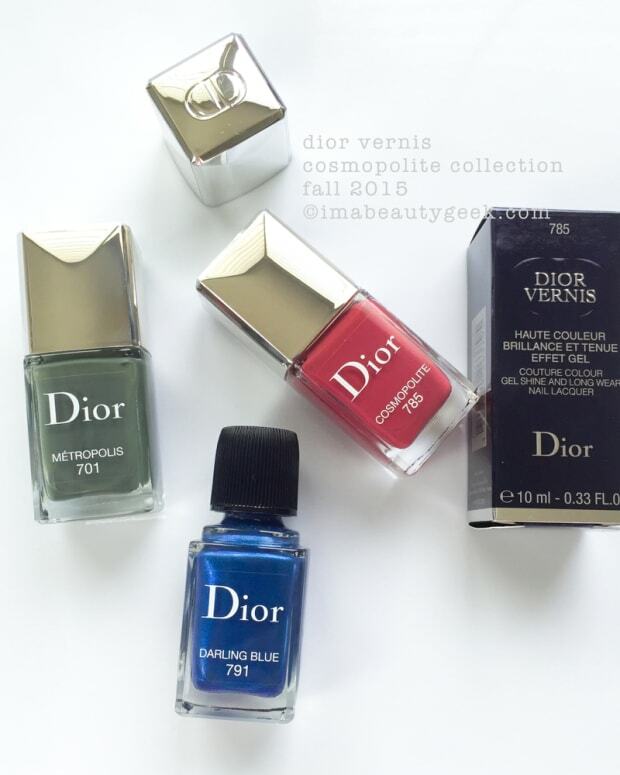 Lemme just say this: if you find a Dior nail lacquer colour you can absolutely fall in love with, buy it. Fine, read some reviews first if you need to be sure, but do it. If you have to save your allowance, do it. 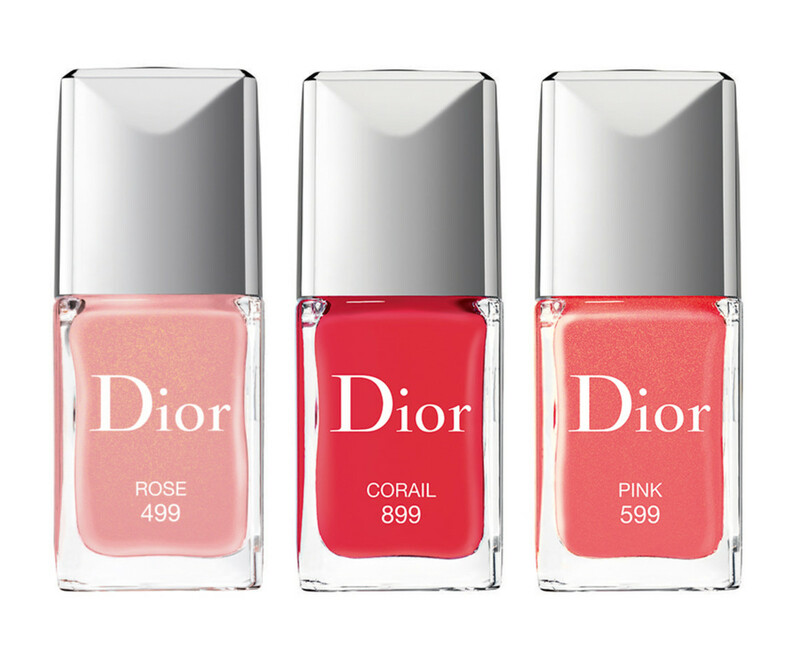 Do it just one time for yourself so you can experience the magic of a Dior Gel Shine polish. From brush to box, it’s all so very good. 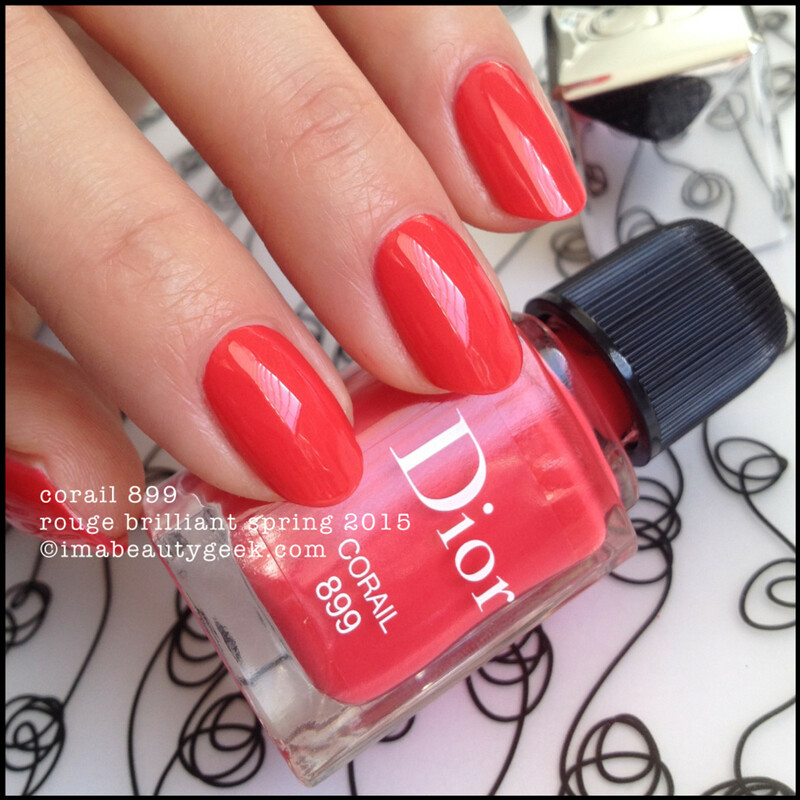 I defy you to find a better brush in all of polish land – so far, in my experience, a better one does not exist. I give this brush a 10/10. It makes polishing such a pleasure. 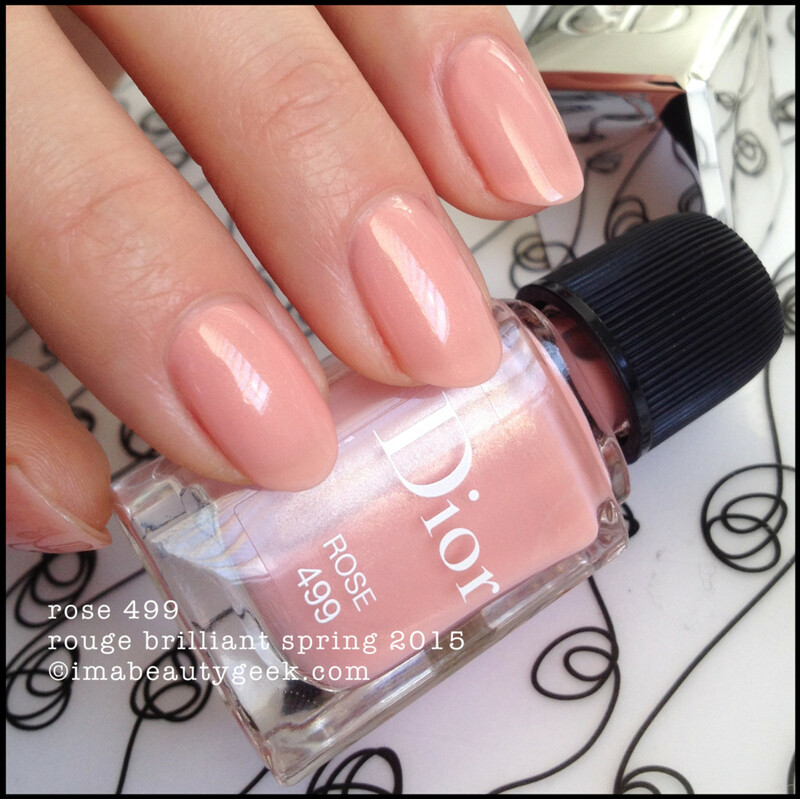 Oftentimes I sit here at my desk and “get to work.” With Dior, it’s not work, it’s just easy. 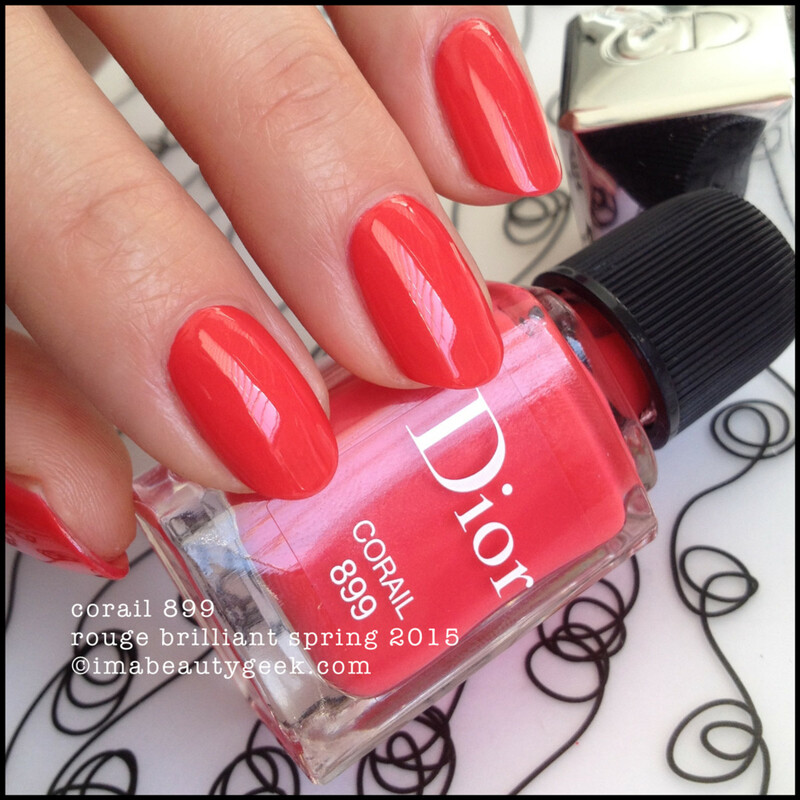 They really, really, really know how to make a perfect bottle of polish. 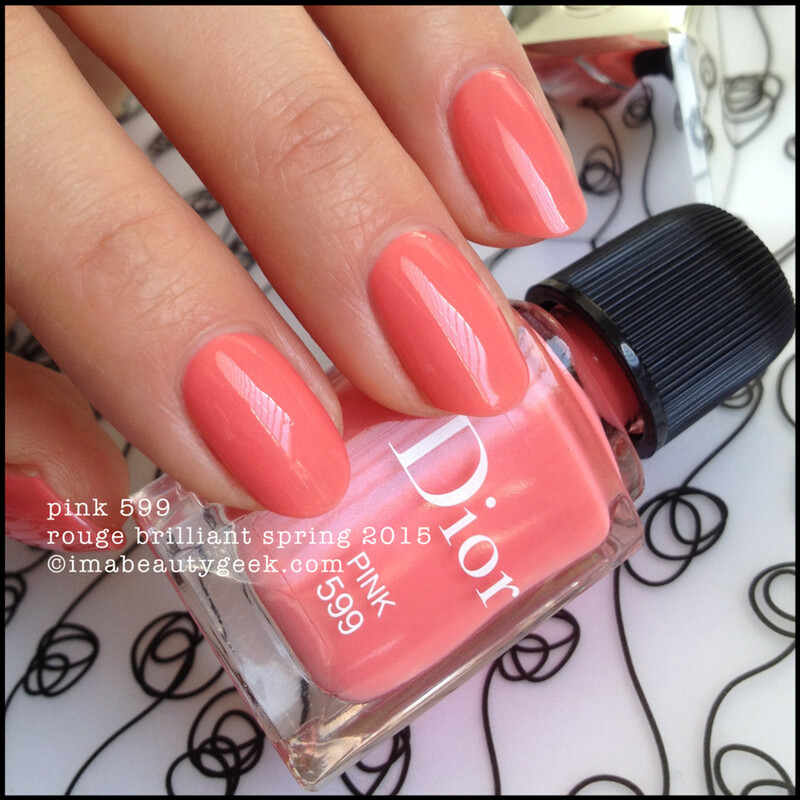 I freakin’ LOVE Dior Vernis. Can you tell? It.Is.Best. That is all. 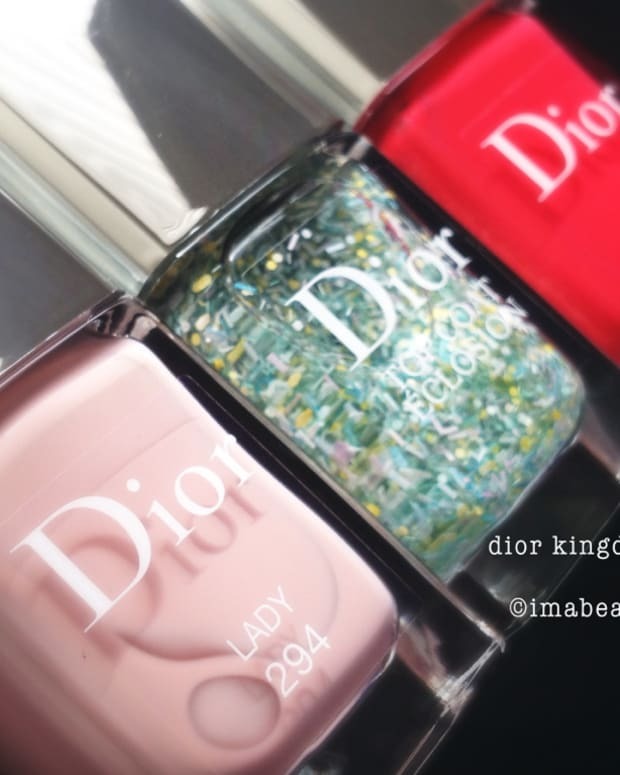 The three shades featured here (Rose 499, Pink 599, and Corail 899) are limited edition and sources say they’ll only be available for four months. 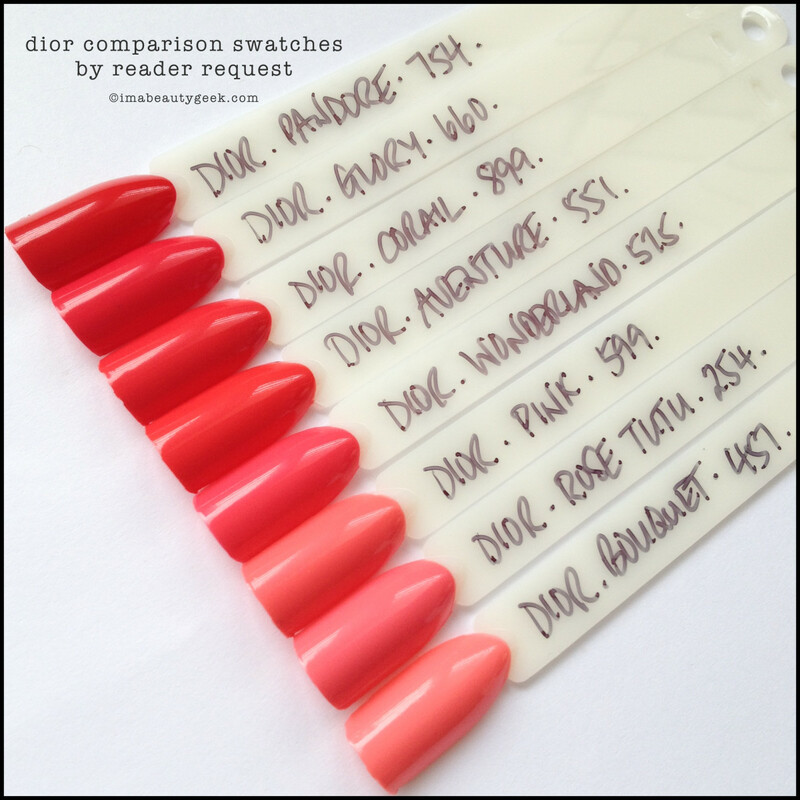 In the meantime, the core Dior Vernis collection has some stunning shades to play with (see our shoppity-shop-shop links). Happy painting friends!